Felt great to get back out there tonight! I've been eating way too many Christmas cookies and casseroles lol! 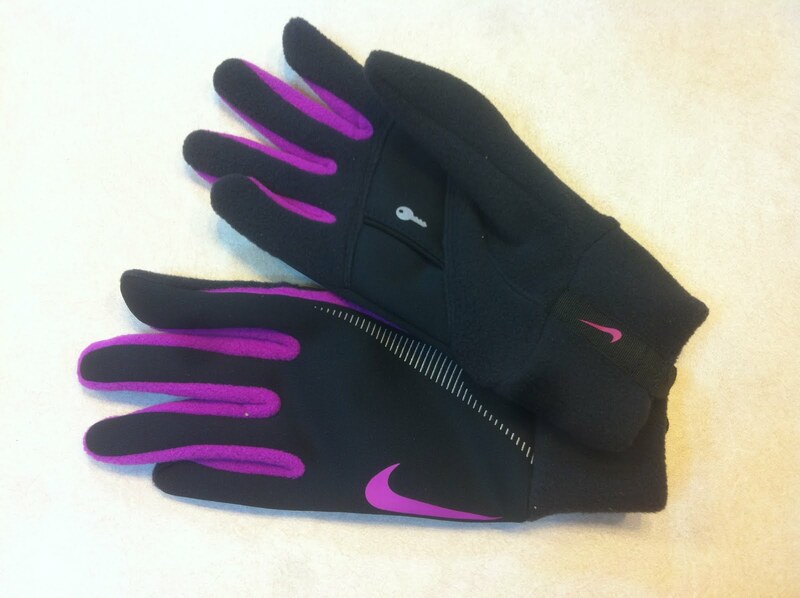 I also got to wear my new gloves and new running shirt that I got for Christmas! I think new gear really does make all the difference lol! 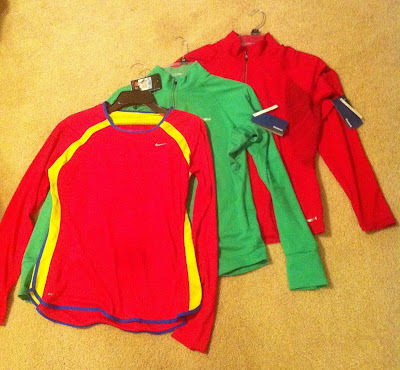 Yay for a good run! 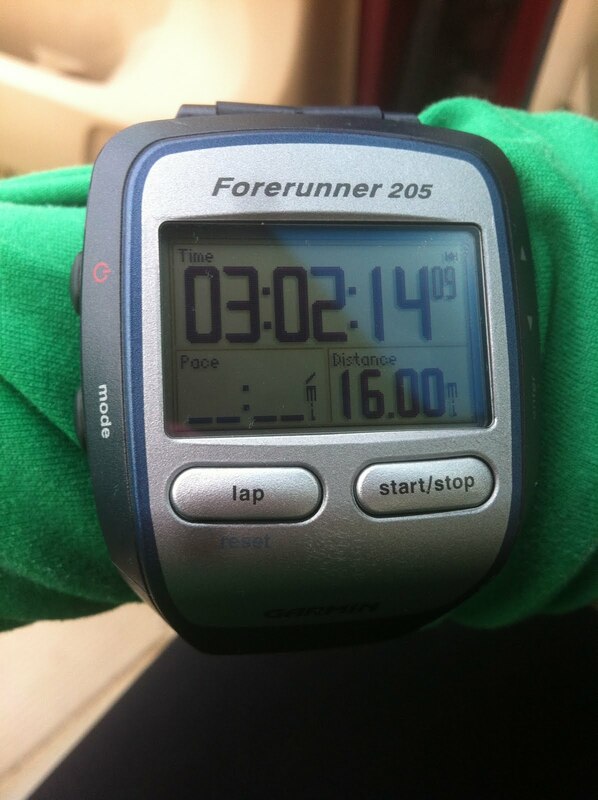 16 miles is on the plan for Saturday!!! 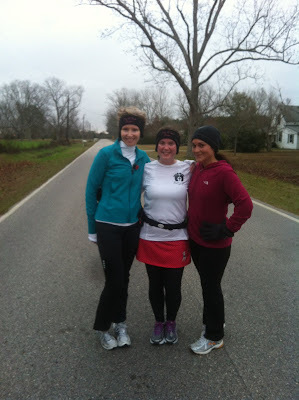 What a great way to start Christmas Eve...running with some great friends! It was cold and windy but we did it! 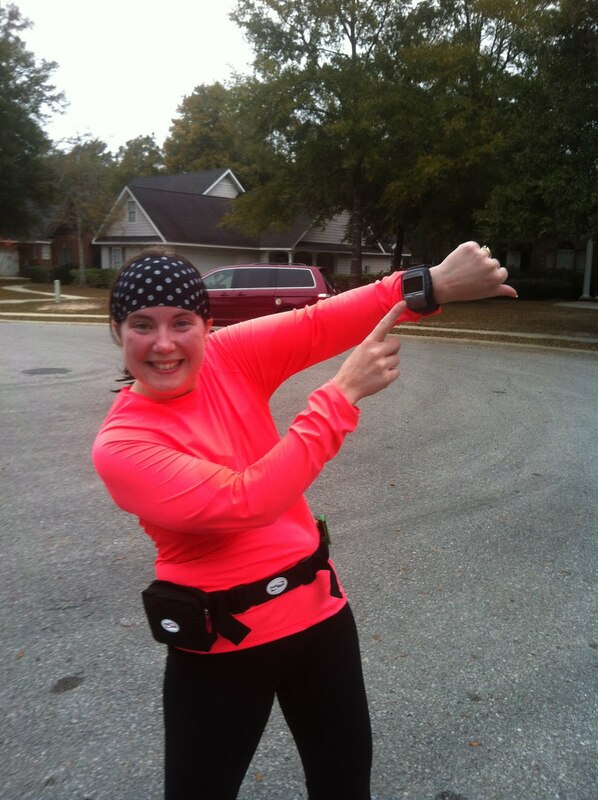 The first 3 miles were tough but then I got into my groove and felt great! 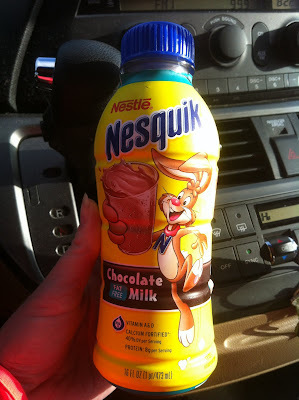 I also tried GU Roctane for the first time today...that stuff rocks!!! Here's Gina, me, and Angela after our 10 miles! I'm ready to spend the day with family baking cookies, putting together a gingerbread house, painting ornaments, and watching Christmas movies! Merry Christmas!!! Guess what was in my mailbox today??? My "heavy medal" from the Rock 'n Roll series! They give you extra medals for running more than one of their races in a year. 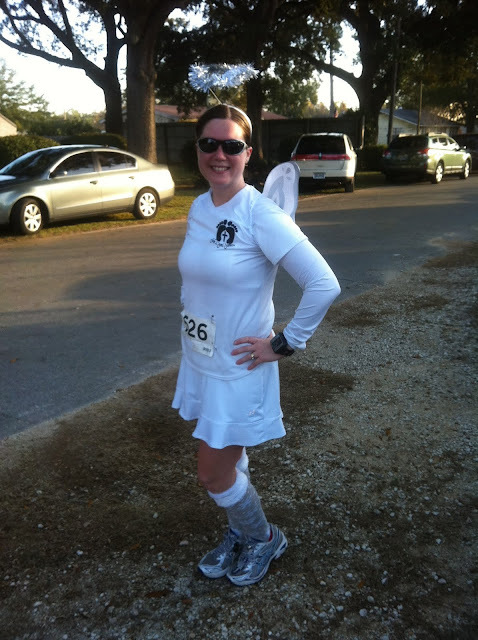 I ran the one in New Orleans and Savannah! 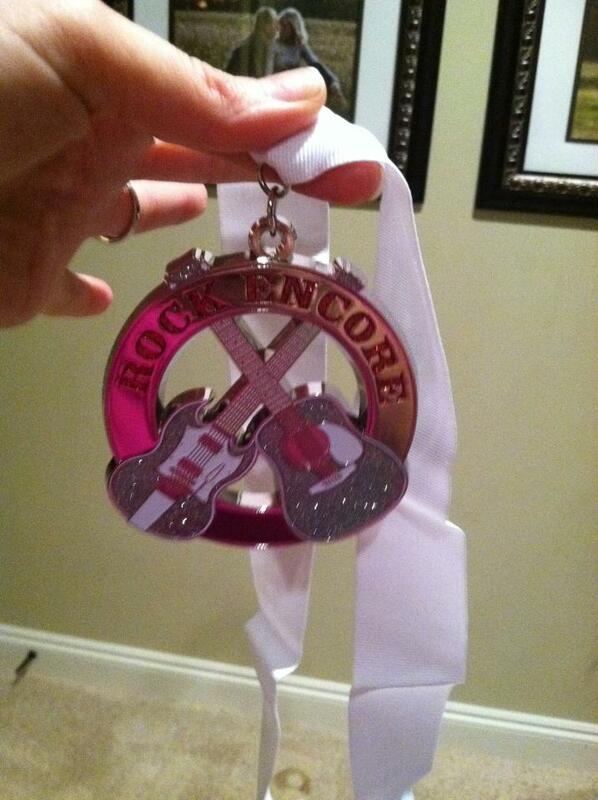 Isn't the medal pretty? Pretty awesome! I haven't sweated like that in a while! The temp was in the 60's and it was super humid. 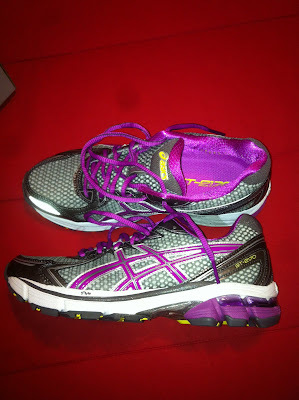 This was my second run with the new shoes...my plan was to run slow and just try to get used to the feeling of the shoes. The first 2-3 miles were awkward feeling. But the last mile I hit my groove and felt great! Thank the Lord above...because I did tons of praying about shoes the past few days lol! I really needed this good run! Now...it is pouring down rain and we are under severe thunderstorm and tornado watches. So glad I got my run in early this morning! It was perfect running weather this morning! Temps were in the high 50's! 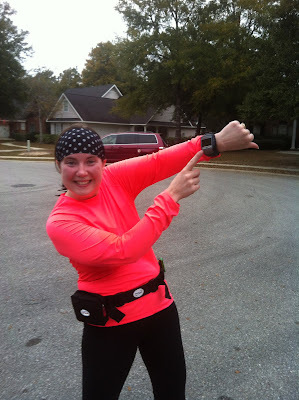 We ran hills so I took it easy...trying to stay injury free for this marathon training! Ready for a fun filled day at school...it's our Christmas party and Santa visit day!!! Week 2 of the Couch to 5K training with the Sole2Soul Sisters today! I met two wonderful ladies with the same name...Kim! One of them was running for the first time ever and was doing it to get healthy. The other Kim amazed me because she fractured a bone in her foot a week ago and she was still out there running the best she could! These women are amazing! I'm so excited to see how far I know they will go in the next 7 weeks!!! Today they alternated 90 seconds of jogging and 2 minutes of walking for a total of 20 minutes! They ROCKED!!! 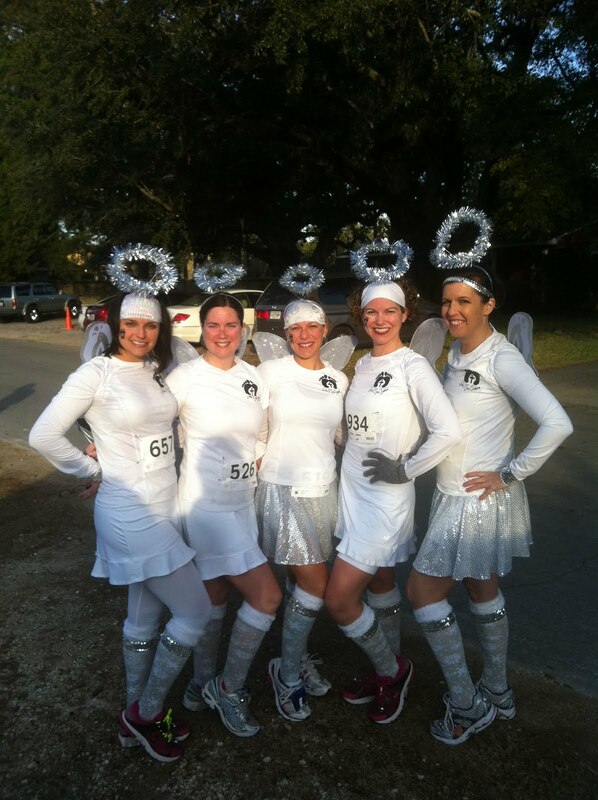 Had a fabulous run with some fabulous ladies this morning! We ran a new route...and a few of us got a little lost...or I guess I should say we weren't sure where to turn. Thank goodness for my iPhone! We just turned around and went back the way we came and it all worked out. It was great having a change of scenery....although it was a hilly route. But hills don't scare me as much as they used to lol! Had a beautiful moon and then a gorgeous sunrise to look at while we were running! 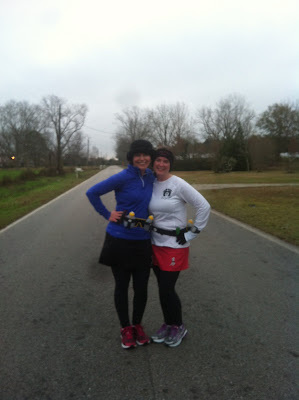 Marathon training with one of your best friends...it can't get any better than that!!! 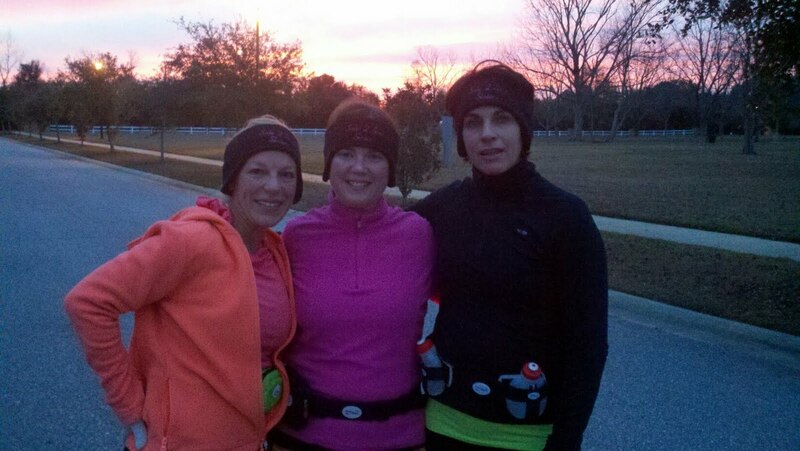 Paige, me, and Marcella...around mile 9 with a beautiful sunrise behind us! It was gorgeous but you can't tell that in the picture. Ready to spend the day with my boys and then sing in my Christmas Musical tonight! I can't help but laugh every time I say that word lol! My fastest pace was 6:34!!! I'm pretty sure I only did that for maybe 2 seconds but it counts lol! 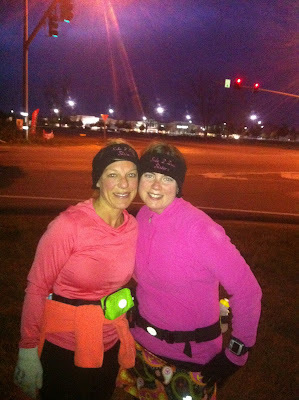 7 of us ventured out in the freezing and windy temps this morning. It felt great! 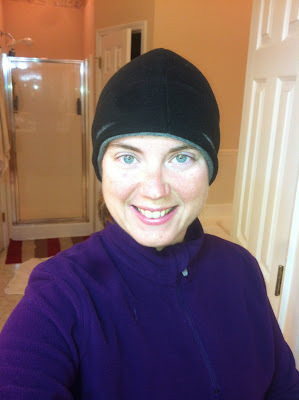 I love running in the cold!!! See the frost on the sides of my hat?!! First group run with the new group! 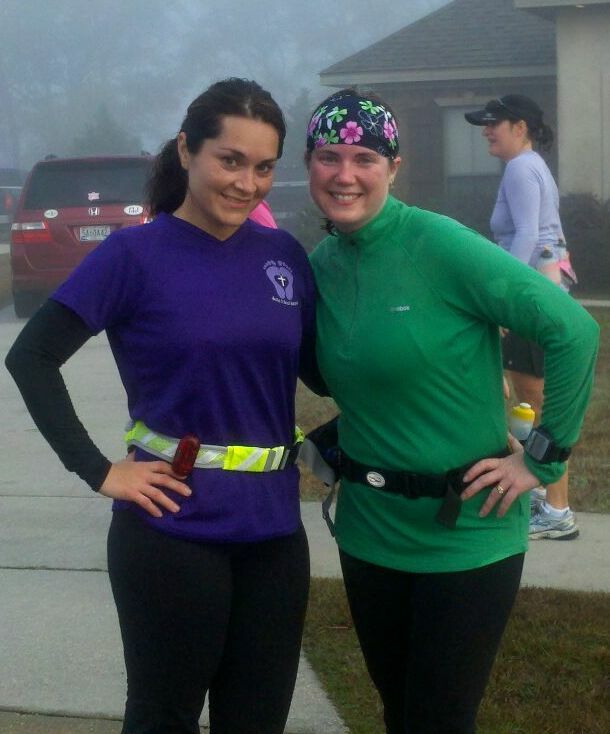 We had 52 ladies come out to run!!! Wow!!! I am so blessed to be a part of helping these wonderful ladies train for a 5K!!! Today they alternated running 60 seconds and walking 90 seconds for a total of 20 minutes. And they all did great!!! 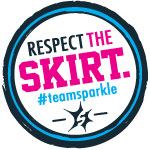 If you don't know about the amazing Sole2Soul Sisters and how blessed I am to be an officer of this group...go check out our website at www.sole2soulsisters.com ! I really didn't want to get out of my cozy warm bed this morning but so glad I did! There were only 4 of us that ran today but we had a great track workout. We did a warm up, 4 x 400's, and then a cool down. Really felt great to push myself! And I'm not sure if you can really tell from this picture but there was frost on the ground and on the roof of my house this morning. 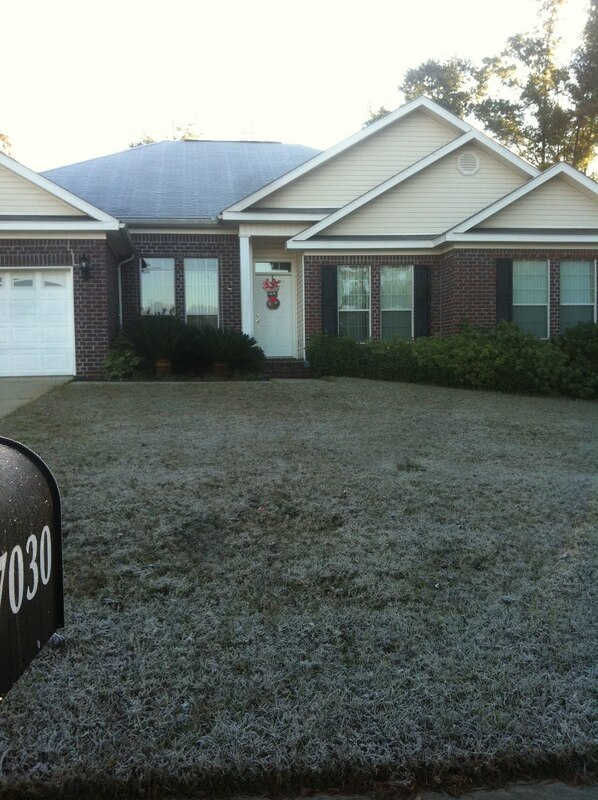 My boys thought it had snowed lol!